Meeting in Toronto, more than 1,100 medical librarians, including more than 35 from NLM, gathered in May for the Medical Library Association’s 116th annual meeting and exhibition. The joint meeting with the Canadian Health Libraries Association and the International Clinical Librarian Conference attracted librarians from around the world. Meeting highlights included the John P. McGovern Award Lecture by Ben Goldacre, founder of AllTrials campaign, and the Janet Doe Lecture, given by M.J. Tooey, Director of NLM’s Southeastern/Atlantic Regional Medical Library. The conference also offered over 200 peer-reviewed papers, 45 lightning talks, and 240 posters. Visitors to the NLM exhibit booth attend the MedlinePlus Update. Session presenters associated with NLM included Liz Amos, Katie Funk, Janice Kelly, Alla Kesselman, and Elizabeth Norton, along with a dozen or so current or former NLM Associate Fellows. The NLM exhibit booth also hosted 26 presentations on a diverse selection of NLM products and services. During the annual NLM update, Acting Director Betsy Humphreys shared the stage with Joyce Backus, associate director of Library Operations, and Stacey Arnesen, head of the Disaster Information Management Research Center (DIMRC) within NLM’s Division of Specialized Information Services. Backus began with an overview of the past five years of accomplishments of the eight regional libraries in the National Network of Libraries of Medicine, highlighting examples such as increased memberships, outreach from a South Carolina beauty salon, and workshops on the Affordable Care Act. Citing the international audience, Backus gave a brief overview of MEDLINE, which includes journals published in 85 countries. She also offered a quick glimpse into the indexing process, explaining that indexers, most of whom are subject matter experts with advanced degrees, begin by examining the title and abstract, and then scan particularly the purpose, methods, and results to assign relevant MeSH terms. Arnesen discussed DIMRC and how it can help in situations as diverse as Hurricane Katrina in 2005 to the wildfires raging through western Canada today. Her call to action: You can become a disaster information specialist. To great applause, Humphreys updated the crowd on NLM’s new leader, Dr. Patricia Flatley Brennan, who will begin in August. Humphreys’ other leadership news covered former NLM board member Eric Dishman’s selection as director of the NIH’s Precision Medicine Cohort Program and Dr. David Lipman continuing his role as the Director of NLM’s National Center for Biotechnology Information, as well as serving as an Associate Director of NIH. Acting NLM Director Betsy Humphreys delivers the NLM Update at the Medical Library Association Annual Conference. Humphreys spoke briefly about the increasing emphasis on data sharing, which she called “a worldwide phenomenon,” and she talked about ClinicalTrials.gov. “There is hard evidence that many results in ClinicalTrials.gov are not available elsewhere, and that there may be discrepancies between what is reported to ClinicalTrials.gov and what is published in journal articles,” she said. “ClinicalTrials.gov provides a platform for transparency, but doesn’t guarantee it.” She expressed hope that compliance will improve. She continued with news about how public access to research publications continues to expand, with additional research funders requiring papers to be submitted to PubMed Central. “This includes the Canadian Institutes of Health, which has already deposited nearly 2,000 papers,” she said and added that author submitted manuscripts in PMC “are now available for downloading and data mining—in addition to the open access subset.” In addition, she shared that NLM’s HealthReach site, which provides information for clinicians and patients in many languages, will be available on mobile devices later this month. Humphreys concluded her remarks by noting that, as much as things are changing at NLM, some things remain the same like the Library’s mission, the value of the NLM associate fellowship program, the commitment of NLM’s advisors, the dedication of the Library’s staff, and the longstanding cooperation between Canadian and US health services librarians. Wishing you could have attended? In between meeting and greeting, there was a lot of tweeting. In fact, the NLM Twitter account—@nlm_news—ended the conference as a major influencer, landing in the top ten for number of tweets, mentions, and impressions over the core days of the conference. Along the way NLM staff tweeted and retweeted program announcements, insights, and suggestions from across the conference and #medlib communities. Janice E. Kelly, FMLA, is now a Medical Library Association fellow. 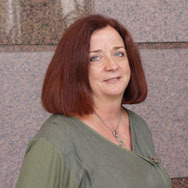 During her more than 35-year career, Kelly has received many honors including the MLA President’s Award for her work with the National Network of Libraries of Medicine following Hurricane Katrina.